Knee pain is a common problem that can occur suddenly or over a period of time. There are a number of causes of knee pain, and generally treatment is readily available. Knee pain affects approximately 25% of adults and knee pain can be a source of significant disability, restricting the ability to work or perform activities of daily living 1). This complaint is most prevalent in physically active patients, with as many as 54 percent of athletes having some degree of knee pain each year 2). The prevalence of knee pain has increased 65% over the past 20 years 3) with an estimated 4 million primary care visits per year attributed to knee pain 4). Knee symptoms are the 10th most common reason for hospital outpatient visits. Recent studies support nonsurgical management for common knee diseases, such as osteoarthritis and meniscal disease 5), 6). Laterally is a tibiofemoral joint, between the lateral condyle of the femur, lateral meniscus, and lateral condyle of the tibia, which is the weight-bearing bone of the leg. Medially is another tibiofemoral joint, between the medial condyle of the femur, medial meniscus, and medial condyle of the tibia. An intermediate patellofemoral joint is between the patella and the patellar surface of the femur. The differential diagnosis of knee pain is extensive but can be narrowed with a detailed history, a focused physical examination and, when indicated, the selective use of appropriate imaging and laboratory studies. Articular capsule. Independent capsule unites the bones of the knee joint. The ligamentous sheath surrounding the kneww joint consists mostly of muscle tendons or their expansions. There are, however, some capsular fibers connecting the articulating bones. 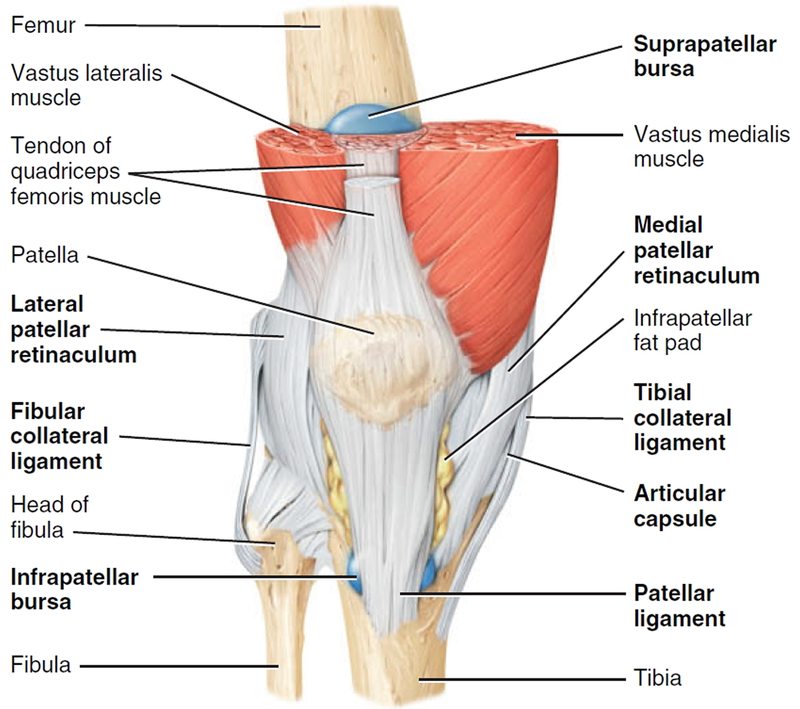 Medial and lateral patellar retinacula. Fused tendons of insertion of the quadriceps femoris muscle and the fascia lata (fascia of thigh) that strengthen the anterior surface of the joint. Patellar ligament. Continuation of common tendon of insertion of quadriceps femoris muscle that extends from the patella to the tibial tuberosity. Also strengthens the anterior surface of the joint. Posterior surface of the ligament is separated from the synovial membrane of the joint by an infrapatellar fat pad. Oblique popliteal ligament. Broad, flat ligament that extends from the intercondylar fossa and lateral condyle of the femur to the head and medial condyle of the tibia. The ligament strengthens the posterior surface of the joint. Arcuate popliteal ligament. Extends from lateral condyle of femur to styloid process of the head of the fibula. Strengthens the lower lateral part of the posterior surface of the joint. Tibial collateral ligament. Broad, flat ligament on the medial surface of the joint that extends from the medial condyle of the femur to the medial condyle of the tibia. Tendons of the sartorius, gracilis, and semitendinosus muscles, all of which strengthen the medial aspect of the joint, cross the ligament. The tibial collateral ligament is firmly attached to the medial meniscus. the popliteal muscle is deep to the ligament. origins relative to the intercondylar area of the tibia. 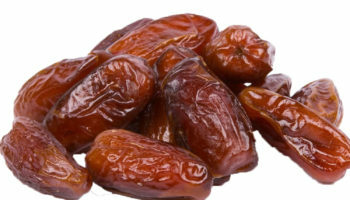 From their origins, they cross on their way to their destinations on the femur. Anterior cruciate ligament (ACL). Extends posteriorly and laterally from a point anterior to the intercondylar area of the tibia to the posterior part of the medial surface of the lateral condyle of the femur. The Anterior cruciate ligament (ACL) limits hyperextension of the knee (which normally does not occur at this joint) and prevents the anterior sliding of the tibia on the femur. This ligament is stretched or torn in about 70% of all serious knee injuries. 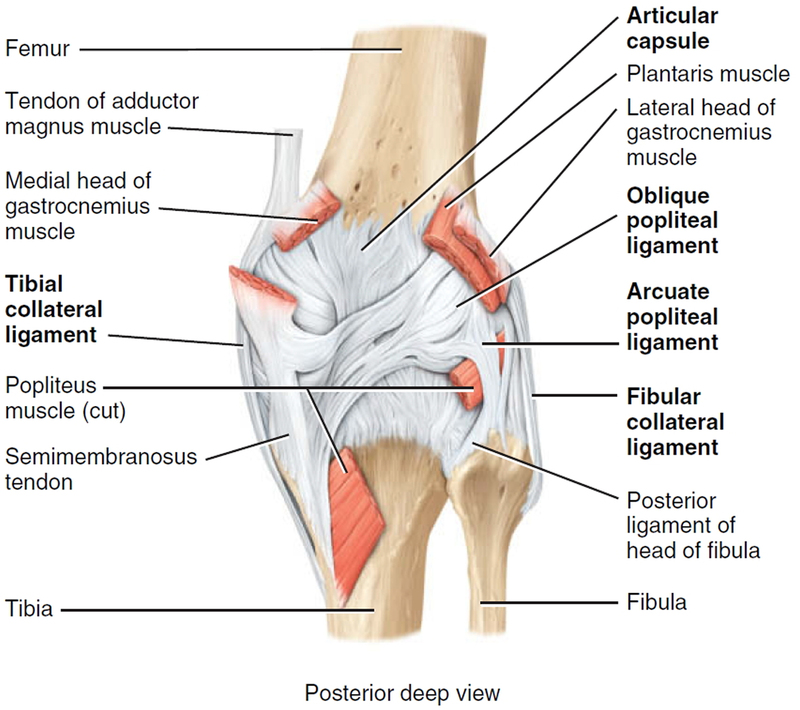 Posterior cruciate ligament (PCL). Extends anteriorly and medially from a depression on the posterior intercondylar area of the tibia and lateral meniscus to the anterior part of the lateral surface of the medial condyle of the femur. The posterior cruciate ligament (PCL) prevents the posterior sliding of the tibia (and anterior sliding of the femur) when the knee is flexed. This is very important when walking down stairs or a steep incline. Articular discs (menisci). Two fibrocartilage discs between the tibial and femoral condyles help compensate for the irregular shapes of the bones and circulate synovial fluid. Medial meniscus. Semicircular piece of fibrocartilage (C-shaped). Its anterior end is attached to the anterior intercondylar fossa of the tibia, anterior to the anterior cruciate ligament. Its posterior end is attached to the posterior intercondylar fossa of the tibia between the attachments of the posterior cruciate ligament and lateral meniscus. Lateral meniscus. Nearly circular piece of fibrocartilage (approaches an incomplete O in shape). Its anterior end is attached anteriorly to the intercondylar eminence of the tibia, and laterally and posteriorly to the anterior cruciate ligament. Its posterior end is attached posteriorly to the intercondylar eminence of the tibia, and anteriorly to the posterior end of the medial meniscus. The anterior surfaces of the medial and lateral menisci are connected to each other by the transverse ligament of the knee and to the margins of the head of the tibia by the coronary ligaments. Prepatellar bursa between the patella and skin. Infrapatellar bursa between superior part of tibia and patellar ligament. Suprapatellar bursa between inferior part of femur and deep surface of quadriceps femoris muscle. Knee pain may be due to a number of causes. bursitis, which is inflammation of the fluid filled sacs that cushion the knee (known as bursae). pain referred from the hip or lower spine. have uneven legs or other problems. Patellar subluxation is the most likely diagnosis in a teenage girl who presents with giving-way episodes of the knee 9). This injury occurs more often in girls and young women because of an increased quadriceps angle (Q angle), usually greater than 15 degrees. A teenage boy who presents with anterior knee pain localized to the tibial tuberosity is likely to have tibial apophysitis, or Osgood-Schlatter lesion (Figures 1, 2 and 3) 10). The typical patient is a 13- or 14-year-old boy (or a 10- or 11-year-old girl) who has recently gone through a growth spurt. Jumper’s knee (irritation and inflammation of the patellar tendon) most commonly occurs in teenage boys, particularly during a growth spurt 11). The patient reports vague anterior knee pain that has persisted for months and worsens after activities such as walking down stairs or running. A number of pathologic conditions result in referral of pain to the knee. For example, the possibility of slipped capital femoral epiphysis must be considered in children and teenagers who present with knee pain 12). The patient with this condition usually reports poorly localized knee pain and no history of knee trauma. Osteochondritis dissecans is an intra-articular osteochondrosis of unknown etiology that is characterized by degeneration and re-calcification of articular cartilage and underlying bone. In the knee, the medial femoral condyle is most commonly affected 13). The patient reports vague, poorly localized knee pain, as well as morning stiffness or recurrent effusion. If a loose body is present, mechanical symptoms of locking or catching of the knee joint also may be reported. On physical examination, the patient may demonstrate quadriceps atrophy or tenderness along the involved chondral surface. A mild joint effusion may be present 14). Plain-film radiographs may demonstrate the osteochondral lesion or a loose body in the knee joint. If osteochondritis dissecans is suspected, recommended radiographs include anteroposterior, posteroanterior tunnel, lateral, and Merchant’s views. Osteochondral lesions at the lateral aspect of the medial femoral condyle may be visible only on the posteroanterior tunnel view. Magnetic resonance imaging (MRI) is highly sensitive in detecting these abnormalities and is indicated in patients with a suspected osteochondral lesion 15). Patients with patello-femoral pain syndrome (chondromalacia patellae) typically present with a vague history of mild to moderate anterior knee pain that usually occurs after prolonged periods of sitting (the so-called “theater sign”) 16). Patello-femoral pain syndrome is a common cause of anterior knee pain in women. On physical examination, a slight effusion may be present, along with patellar crepitus on range of motion. The patient’s pain may be reproduced by applying direct pressure at the anterior aspect of the patella. Patellar tenderness may be elicited by subluxing the patella medially or laterally and palpating the superior and inferior facets of the patella. Radiographs usually are not indicated. One frequently overlooked diagnosis is medial plica syndrome. The plica, a redundancy of the joint synovium medially, can become inflamed with repetitive overuse 17). The patient presents with acute onset of medial knee pain after a marked increase of usual activities. On physical examination, a tender, mobile nodularity is present at the medial aspect of the knee, just anterior to the joint line. There is no joint effusion, and the remainder of the knee examination is normal. Radiographs are not indicated. Pes anserine bursitis is another possible cause of medial knee pain. The tendinous insertion of the sartorius, gracilis, and semi-tendinosus muscles at the anteromedial aspect of the proximal tibia forms the pes anserine bursa 18). The bursa can become inflamed as a result of overuse or a direct contusion. Pes anserine bursitis can be confused easily with a medial collateral ligament sprain or, less commonly, osteoarthritis of the medial compartment of the knee. Excessive friction between the iliotibial band and the lateral femoral condyle can lead to iliotibial band tendonitis 19). This overuse syndrome commonly occurs in runners and cyclists, although it may develop in any person subsequent to activity involving repetitive knee flexion. Tightness of the iliotibial band, excessive foot pronation, genu varum, and tibial torsion are predisposing factors. Noble’s test is used to reproduce the pain in iliotibial band tendonitis. With the patient in a supine position, the physician places a thumb over the lateral femoral epicondyle as the patient repeatedly flexes and extends the knee. Pain symptoms are usually most prominent with the knee at 30 degrees of flexion. Popliteus tendonitis is another possible cause of lateral knee pain. However, this condition is fairly rare 20). Injury to the anterior cruciate ligament usually occurs because of noncontact deceleration forces, as when a runner plants one foot and sharply turns in the opposite direction. Resultant valgus stress on the knee leads to anterior displacement of the tibia and sprain or rupture of the ligament 21). The patient usually reports hearing or feeling a “pop” at the time of the injury, and must cease activity or competition immediately. Swelling of the knee within two hours after the injury indicates rupture of the ligament and consequent hemarthrosis. On physical examination, the patient has a moderate to severe joint effusion that limits range of motion. The anterior drawer test may be positive, but can be negative because of hemarthrosis and guarding by the hamstring muscles. The Lachman test should be positive and is more reliable than the anterior drawer test. Injury to the medial collateral ligament is fairly common and is usually the result of acute trauma. The patient reports a misstep or collision that places valgus stress on the knee, followed by immediate onset of pain and swelling at the medial aspect of the knee 22). On physical examination, the patient with medial collateral ligament injury has point tenderness at the medial joint line. Valgus stress testing of the knee flexed to 30 degrees reproduces the pain. A clearly defined end point on valgus stress testing indicates a grade 1 or grade 2 sprain, whereas complete medial instability indicates full rupture of the ligament (grade 3 sprain). Injury of the lateral collateral ligament is much less common than injury of the medial collateral ligament. Lateral collateral ligament sprain usually results from varus stress to the knee, as occurs when a runner plants one foot and then turns toward the ipsilateral knee 23). The patient reports acute onset of lateral knee pain that requires prompt cessation of activity. On physical examination, point tenderness is present at the lateral joint line. Instability or pain occurs with varus stress testing of the knee flexed to 30 degrees. Radiographs are not usually indicated. The meniscus can be torn acutely with a sudden twisting injury of the knee, such as may occur when a runner suddenly changes direction 24). Meniscal tear also may occur in association with a prolonged degenerative process, particularly in a patient with an anterior cruciate ligament–deficient knee. The patient usually reports recurrent knee pain and episodes of catching or locking of the knee joint, especially with squatting or twisting of the knee. On physical examination, a mild effusion is usually present, and there is tenderness at the medial or lateral joint line. Atrophy of the vastus medialis obliquus portion of the quadriceps muscle also may be noticeable. The McMurray test may be positive, but a negative test does not eliminate the possibility of a meniscal tear. Infection of the knee joint may occur in patients of any age but is more common in those whose immune system has been weakened by cancer, diabetes mellitus, alcoholism, acquired immunodeficiency syndrome, or corticosteroid therapy. The patient with septic arthritis reports abrupt onset of pain and swelling of the knee with no antecedent trauma 25). Arthrocentesis reveals turbid synovial fluid. Analysis of the fluid yields a white blood cell count (WBC) higher than 50,000 per mm3 (50 × 109 per L), with more than 75 percent (0.75) polymorphonuclear cells, an elevated protein content (greater than 3 g per dL [30 g per L]), and a low glucose concentration (more than 50 percent lower than the serum glucose concentration) 26). Gram stain of the fluid may demonstrate the causative organism. Common pathogens include Staphylococcus aureus, Streptococcus species, Haemophilus influenzae, and Neisseria gonorrhoeae. Hematologic studies show an elevated white blood cell count (WBC), an increased number of immature polymorphonuclear cells (i.e., a left shift), and an elevated erythrocyte sedimentation rate (usually greater than 50 mm per hour). Osteoarthritis of the knee joint is a common problem after 60 years of age. The patient presents with knee pain that is aggravated by weight-bearing activities and relieved by rest 27). The patient has no systemic symptoms but usually awakens with morning stiffness that dissipates somewhat with activity. In addition to chronic joint stiffness and pain, the patient may report episodes of acute synovitis. When osteoarthritis is suspected, recommended radiographs include weight-bearing anteroposterior and posteroanterior tunnel views, as well as non–weight-bearing Merchant’s and lateral views. Radiographs show joint-space narrowing, subchondral bony sclerosis, cystic changes, and hypertrophic osteophyte formation. Acute inflammation, pain, and swelling in the absence of trauma suggest the possibility of a crystal-induced inflammatory arthropathy such as gout or pseudogout 28). Gout commonly affects the knee. In this arthropathy, sodium urate crystals precipitate in the knee joint and cause an intense inflammatory response. In pseudogout, calcium pyrophosphate crystals are the causative agents. Arthrocentesis reveals clear or slightly cloudy synovial fluid. 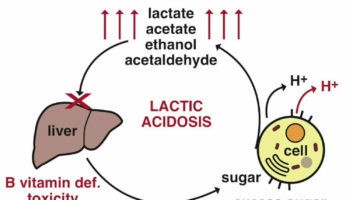 Analysis of the fluid yields a WBC (white blood cell) count of 2,000 to 75,000 per mm3 (2 to 75 × 109 per L), a high protein content (greater than 32 g per dL [320 g per L]), and a glucose concentration that is approximately 75 percent of the serum glucose concentration 29). Polarized-light microscopy of the synovial fluid displays negatively birefringent rods in the patient with gout and positively birefringent rhomboids in the patient with pseudogout. The popliteal cyst (Baker’s cyst) is the most common synovial cyst of the knee. It originates from the posteromedial aspect of the knee joint at the level of the gastrocnemio-semimembranous bursa. The patient reports insidious onset of mild to moderate pain in the popliteal area of the knee. inability to straighten your knee. If you are concerned, visit your doctor or emergency department. If you have a fever and a red and hot knee, see your doctor urgently or go to the nearest emergency department urgently. Your doctor will talk to you and examine your knee. knee joint aspirate, where a small amount of fluid is taken from the knee using a needle. The patient’s description of knee pain is helpful in focusing the differential diagnosis. It is important to clarify the characteristics of the pain, including its onset (rapid or insidious), location (anterior, medial, lateral, or posterior knee), duration, severity, and quality (e.g., dull, sharp, achy). Aggravating and alleviating factors also need to be identified. If knee pain is caused by an acute injury, the physician needs to know whether the patient was able to continue activity or bear weight after the injury or was forced to cease activities immediately. The patient should be asked about mechanical symptoms, such as locking, popping, or giving way of the knee. A history of locking episodes suggests a meniscal tear. A sensation of popping at the time of injury suggests ligamentous injury, probably complete rupture of a ligament (third-degree tear). Episodes of giving way are consistent with some degree of knee instability and may indicate patellar subluxation or ligamentous rupture. The timing and amount of joint effusion are important clues to the diagnosis. Rapid onset (within two hours) of a large, tense effusion suggests rupture of the anterior cruciate ligament or fracture of the tibial plateau with resultant hemarthrosis, whereas slower onset (24 to 36 hours) of a mild to moderate effusion is consistent with meniscal injury or ligamentous sprain. Recurrent knee effusion after activity is consistent with meniscal injury. The patient should be questioned about specific details of the injury. It is important to know if the patient sustained a direct blow to the knee, if the foot was planted at the time of injury, if the patient was decelerating or stopping suddenly, if the patient was landing from a jump, if there was a twisting component to the injury, and if hyperextension occurred. A direct blow to the knee can cause serious injury. Anterior force applied to the proximal tibia with the knee in flexion (e.g., when the knee hits the dashboard in an automobile accident) can cause injury to the posterior cruciate ligament. The medial collateral ligament is most commonly injured as a result of direct lateral force to the knee (e.g., clipping in football); this force creates a valgus load on the knee joint and can result in rupture of the medial collateral ligament. Conversely, a medial blow that creates a varus load can injure the lateral collateral ligament. Noncontact forces also are an important cause of knee injury. Quick stops and sharp cuts or turns create significant deceleration forces that can sprain or rupture the anterior cruciate ligament. Hyperextension can result in injury to the anterior cruciate ligament or posterior cruciate ligament. Sudden twisting or pivoting motions create shear forces that can injure the meniscus. A combination of forces can occur simultaneously, causing injury to multiple structures. A history of knee injury or surgery is important. The patient should be asked about previous attempts to treat knee pain, including the use of medications, supporting devices, and physical therapy. The physician also should ask if the patient has a history of gout, pseudogout, rheumatoid arthritis, or other degenerative joint disease. If you have injured your knee, you can start treatment at home. If you are concerned about your knee pain, visit your doctor or emergency department. These knee strengthening exercises will help with your running, strengthen the muscles around the knee and prevent knee pain. The exercises strengthen all the muscles supporting the knee and stretch out the iliotibial band, known as the ITB, which runs down the outside of the thigh. They can be done as part of your warm-up before a run or as a cool-down routine after a run, outside or indoors, or whenever is most convenient. Typically, you should start to see some benefits after 2 weeks of doing these knee exercises every day. You should not feel any pain when doing these exercises. If you do, stop immediately and seek medical advice. These exercises are not suitable for people with an existing knee injury. 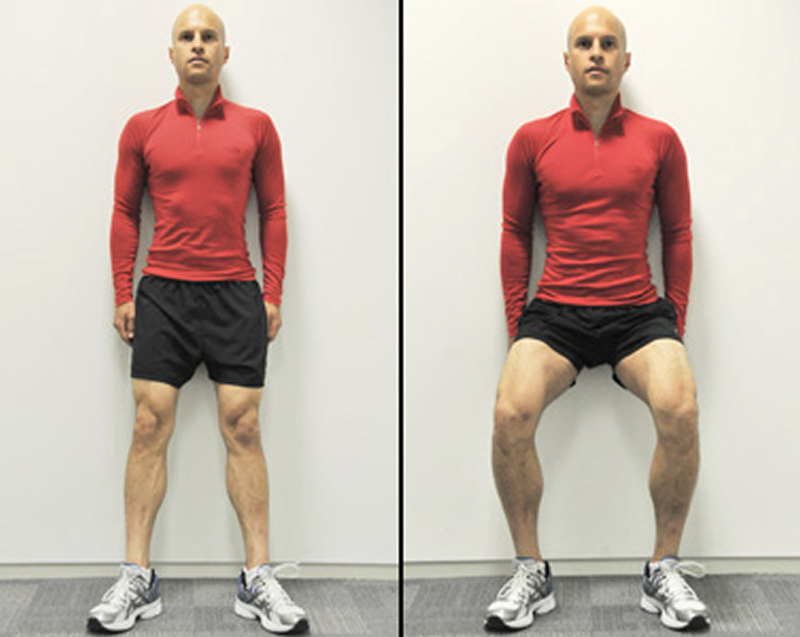 Start position: Stand a foot away from a wall with your knees hip-width apart and your feet pointing slightly outwards. Action: Slide your back down the wall by slowly bending your knees. Let the knees point in the same direction as your toes. As you come up, focus on tensing the muscle above your knee and your buttocks. Start position: Sit up straight on a chair. Action: Slowly straighten and raise your right leg until straight with your foot pointing slightly outwards. Squeeze your right thigh muscles and hold this position for 15 seconds. For the exercise to be effective, you should keep tensing the muscle above your knee. Repeat with the other leg. Action: Straighten and raise your right leg until horizontal, with your foot pointing slightly outwards. Keeping your leg raised, move your leg up and down 10 times while maintaining the contraction in the muscle above the knee and without touching the floor. Repeat with the other leg. Start position: Sit on the edge of a chair. Action: Keep your left leg bent and straighten your right leg, placing the right heel on the ground with your foot pointing slightly outwards. Bend towards your right leg to stretch your hamstring while tensing the muscle above your knee at the same time. Action: To stretch your right iliotibial band, cross your right leg behind your left leg. Keeping both feet on the ground, lean to your left side and push you right hip outwards. Don’t bend forwards or stick your buttocks out. You should feel the stretch along your outer right thigh and hip. Action: Stand with your feet shoulder-width apart, feet pointing slightly outwards and your hands down by your sides or stretched out in front for extra balance. Lower yourself by bending your knees to no more than a right angle. Keep your back straight and don’t let your knees go past your toes. Action: Stand with both feet pointing forwards, hip-width apart. Lift your left foot off the ground and balance on your right foot. Now bend your right leg and slowly lower yourself, making sure your knee doesn’t go past your foot or lean inwards. Push back up slowly to your starting position. Action: Stand with your feet pointing slightly outwards. Shift your weight onto your right leg and lift your left foot off the ground. Now bend your right leg and slowly lower yourself, making sure your right knee points in the same direction as your right foot. Push back up slowly to your starting position, keeping your thigh and buttock muscles tight. Action: Stand in a split stance with your right leg forward and left leg back. Slowly bend the knees, lowering into a lunge until the right leg is nearly at a right angle. Keeping the weight on your heels, push back up to the starting position. Keep your back straight and don’t let your knees extend over your toes. If you are in pain, you may take simple painkillers (for example acetaminophen, ibuprofen). Physical therapy and exercise are the foundation of nonsurgical management of osteoarthritis-associated knee pain. Evidence has shown that active management (e.g., stretching, strengthening, exercise programs) is more effective in decreasing knee pain and improving function than passive modalities (e.g., therapeutic ultrasonography, electrical stimulation, taping, cryotherapy, heat) 30). Patellar taping is a popular adjunct treatment that has been shown to reduce pain in patients with knee osteoarthritis 31). Ice massage and application of cold packs decrease swelling and improve range of motion and strength, but do not affect pain 32). The American Academy of Orthopaedic Surgeons (AAOS) recently updated its guideline on the treatment of knee osteoarthritis to focus on exercise-based therapies and targeted weight loss 33). Exercising and achieving a healthy weight are generally the most important ways to treat osteoarthritis. Patients with a body mass index greater than 25 kg/m2 should be encouraged to lose weight 34). All types of exercise (combined aerobic/strength-training program improves pain) have been shown to improve osteoarthritis pain and physical function scores 35). Home exercise programs are as effective as a supervised clinical exercise program in improving function and six-minute walk distance in persons with knee osteoarthritis 36). Twisting and high-impact activities (e.g., running) should be avoided. Acetaminophen and nonsteroidal anti-inflammatory drugs (NSAIDs) improve pain in patients with osteoarthritis and are considered first-line treatments. Randomized controlled trials have shown that acetaminophen is as effective as ibuprofen, regardless of the dosage 48). A recent double-blind randomized controlled trial found that extended-release acetaminophen (1,300 mg three times daily) is effective for knee and hip osteoarthritis pain and is well tolerated 49). Furthermore, a 2004 systematic review of five randomized controlled trials suggested that acetaminophen should be considered initial therapy because it is effective and has fewer adverse effects than NSAIDs 50). Acetaminophen is especially appropriate as first-line therapy in patients who cannot tolerate NSAIDs 51). A systematic review of 13 high-quality randomized controlled trials concluded that acetaminophen provides modest short-term relief for knee and hip osteoarthritis 52). It is important to confirm that patients who report lack of benefit have taken acetaminophen continuously and at an adequate dosage. Selective and nonselective NSAIDs are equally effective in the treatment of osteoarthritis 53). A meta-analysis showed that NSAIDs should not be used for long-term treatment, but that limited use is superior to placebo 54). Because of the gastrointestinal and renal adverse effects associated with nonselective NSAIDs, the lowest effective dosage should be used. 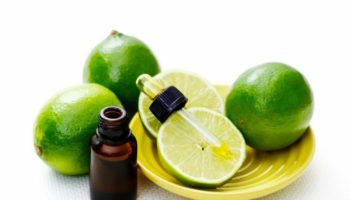 Topical NSAIDs and topical capsaicin are effective in patients with knee osteoarthritis who cannot tolerate oral NSAIDs. 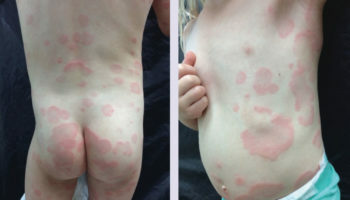 Local skin reactions are the most common adverse effects, and systemic adverse effects for both agents were similar to those for placebo 55). A 2012 randomized controlled trial showed that in patients with knee osteoarthritis that was not adequately controlled with NSAIDs, adding a combination of tramadol/acetaminophen significantly improved pain, although neither agent was superior when added alone 56). Opioid analgesics are an option for patients with symptomatic knee osteoarthritis in whom previous medical management has been ineffective and who are not candidates for total joint arthroplasty 57). A Cochrane review found low-quality evidence to support the effectiveness of opioids in carefully selected patients. These agents should not be used in patients with a history of substance abuse 58). Vitamin D supplementation has not been proven beneficial in reducing pain from knee osteoarthritis 59). The American Academy of Orthopaedic Surgeons does not recommend the use of glucosamine/chondroitin supplementation in persons with knee osteoarthritis,10 and studies have shown mixed benefit 60). One recent randomized controlled trial showed that glucosamine/chondroitin supplementation provided clinically significant pain relief 61), but Cochrane reviews suggest that glucosamine is no better than placebo 62). In addition, a Cochrane review of low-quality studies found that chondroitin supplementation only marginally improved pain in patients with osteoarthritis 63). Intra-articular corticosteroid injections are commonly used in the management of knee osteoarthritis. A Cochrane review showed that although this therapy is effective, pain relief lasts for only one to two weeks 64). The American Academy of Orthopaedic Surgeons does not make a strong recommendation on the use of corticosteroid injections for the treatment of knee osteoarthritis. If used, they should not be given more often than once every three months 65). Hyaluronic acid injections (viscosupplementation) for the treatment of knee osteoarthritis are controversial. Initial studies and meta-analyses were promising, specifically in patients with severe disease 66). However, more recent data cite a lack of high-quality studies showing a beneficial effect. A high-quality 2012 systematic review concluded that viscosupplementation provided no clinically significant improvement in pain or function compared with saline or placebo injection 67). The most recent recommendations from the American College of Rheumatology and Osteoarthritis Research Society International include hyaluronic acid injections in the treatment regimen for osteoarthritis if initial conservative interventions are ineffective 68). However, the American Academy of Orthopaedic Surgeons does not recommend them for patients with chronic osteoarthritis 69). Because higher-quality evidence shows a lack of benefit from viscosupplementation, it is best reserved for patients in whom other pharmacologic and nonpharmacologic treatment options are ineffective and who have less advanced osteoarthritis, are poor surgical candidates, or are younger than 65 years. Older patients and those with more severe disease are not likely to respond to viscosupplementation. There is little evidence that the use of knee braces causes harm; therefore, it is a reasonable option to consider as part of a multidisciplinary approach to the management of chronic overuse injuries, including knee osteoarthritis. However, the use of a brace should not replace a comprehensive physical therapy or home exercise program that addresses functional deficits in strength and flexibility. Small studies have shown medial unloader valgus braces to be beneficial in patients with predominant medial compartment osteoarthritis 70). There is no evidence that orthoses decrease pain or improve function in patients with knee osteoarthritis 71). A recent study recommended against the use of lateral wedge inserts, which agrees with the recent American Academy of Orthopaedic Surgeons guideline 72). A 2010 Cochrane review on the use of therapeutic ultrasonography for knee osteoarthritis concluded that studies were small and of poor quality, and did not show evidence of clinically or statistically significant benefit 73). Active treatments, such as strength training and stretching, are the first-line therapies for patello femoral pain syndrome. Strengthening exercises targeting the quadriceps and hip musculature, combined with stretching of the quadriceps, hamstrings, hip abductors, and iliotibial band complex, are often recommended 74). A Cochrane review concluded that based on low-quality studies, there is likely some benefit for exercise in patients with Patellofemoral pain syndrome, but researchers could not draw conclusions about the most effective modality 75). Figures 4 through 7 demonstrate stretching and strengthening exercises that are often used in the treatment of patellofemoral pain syndrome. Patellar taping has mixed results in the treatment of patellofemoral pain syndrome. A Cochrane review showed no significant effect on pain 76), whereas a recent meta-analysis showed that early taping helped improve pain scores 77). Evidence to support transcutaneous electrical stimulation, biofeedback, or chiropractic manipulation is limited. Note: Hamstring stretch for patients with patellofemoral pain syndrome. (A) The patient lies in the supine position, with the knee of the affected leg bent and the patient gripping the thigh to hold it steady. (B) The patient extends the leg at the knee, holding for 30 to 60 seconds. This exercise is performed twice daily for two repetitions each time. Note: Hip abductor strengthening exercise for patients with patellofemoral pain syndrome. (A) The patient stands with the foot of one leg on a platform, keeping the pelvis parallel with the floor. (B) The opposite leg is lowered slowly while the supported leg remains in knee extension. (C) The gluteal muscles are contracted, which elevates the unsupported leg and returns the pelvis parallel with the floor. This exercise is performed for three sets of 10 repetitions each. Note: Isometric quadriceps strengthening exercise for patients with patellofemoral pain syndrome. (A) The patient sits on a flat surface with the affected leg bent. (A rolled towel can be placed under the knee.) (B) The patient extends the leg at the knee, pressing toward the ground for 10 seconds. This exercise is performed for three sets of 10 repetitions each. 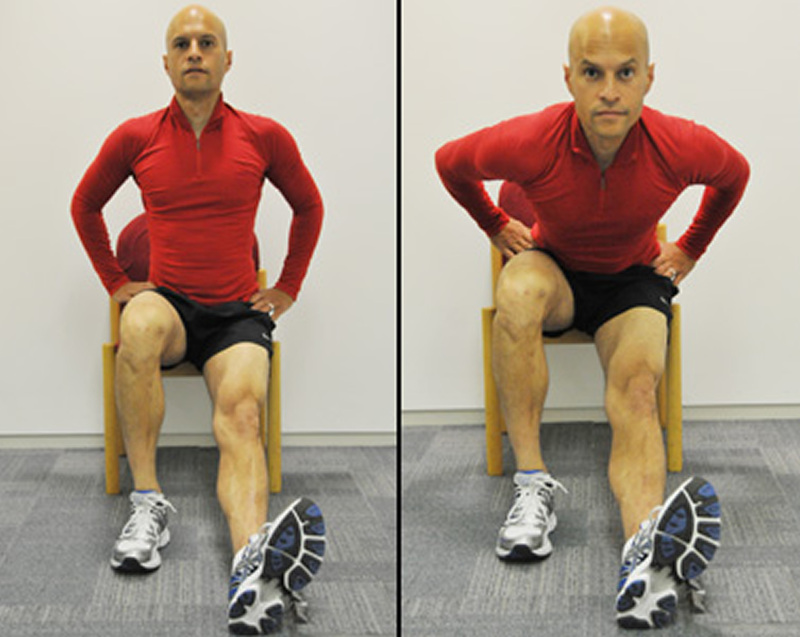 Note: Quadriceps straight leg raise for patients with patellofemoral pain syndrome. The patient sits or lies on a flat surface with the affected leg outstretched and the unaffected leg flexed. The patient lifts the affected leg 8 inches off the surface and slowly lowers the leg to the ground over two to four seconds. This exercise is performed for three sets of 10 repetitions each. Limited data show that NSAIDs are effective in relieving short-term pain from patellofemoral pain syndrome 78). Evidence supporting the use of other oral analgesics is lacking. Foot orthoses—with or without physical therapy—are effective for the treatment of anterior knee pain 79). Lateral tracking of the patella may contribute to the pathology associated with the pain and limited function of patellofemoral pain syndrome. Although it is common practice to suggest a trial of a lateral buttress patellar brace in patients with patellofemoral pain syndrome, strong evidence to support this practice is lacking. However, no data suggest that using a brace to determine whether the patient could benefit will result in harm 80). Degenerative meniscal tears are common in patients with osteoarthritis. Patients should be referred to an orthopedic surgeon only if mechanical symptoms are present (locking or catching). Physical therapy and a structured exercise program are first-line treatments 81). Active rehabilitation is as effective as arthroscopy in decreasing pain and improving function in patients with nontraumatic, degenerative medial meniscal tears 82). A recent study involving patients with concomitant osteoarthritis and meniscal tears showed that physical function scores at six and 12 months were similar in patients who underwent a partial meniscectomy vs. those who completed physical therapy alone 83). Eccentric exercise has been proven beneficial for treating patellar tendinosis (jumper’s knee) 84). NSAIDs may provide short-term relief of pain associated with ligamentous tears, including cruciate and collateral ligament tears. Although NSAIDs are effective in decreasing pain and helping patients with ankle sprains return to physical activity, studies have not been performed in patients with ligamentous knee pain, and the effect of NSAID therapy on tendinopathy is uncertain 85). Although there are no high-quality studies examining the effectiveness of oral analgesics for meniscal tears, it is common practice to use NSAIDs or acetaminophen. Although physicians should avoid injecting corticosteroids into weight-bearing tendons such as the quadriceps and patellar tendon at the knee, it is accepted practice to provide a local corticosteroid injection over the femoral epicondyle in patients with iliotibial band friction syndrome if conservative measures are ineffective 86). Regenerative injections, using dextrose-based or platelet-rich plasma, are an emerging option for the care of chronic musculoskeletal conditions if conservative care is ineffective. Regenerative injections have shown modest improvements in pain and function in the treatment of chronic patellar tendinopathy 87) and osteoarthritis 88). Although the results of small studies are promising, further research with large randomized controlled trials is needed before definitive recommendations can be made. Short-term use of a knee immobilizer brace can protect the knee immediately after an acute injury, such as complete major ligament or tendon tears and patellar fracture or dislocation. In patients with grade 1 or 2 medial collateral ligament injuries, minimally restrictive bracing can be helpful when combined with oral analgesics and early physical therapy 89). Braces commonly used for overuse knee conditions include an iliotibial band strap for patients with iliotibial band friction syndrome or an infrapatellar strap for those with patellar tendinopathy 90); however, these braces have not been studied in robust clinical trials. A Cochrane review 91) found insufficient evidence regarding deep friction tissue massage for the treatment of lateral knee tendinitis. Patients with partial anterior cruciate ligament tears may benefit from bracing during the acute injury phase, such as a hinged knee brace coupled with range-of-motion exercises 92). Patients with full-thickness tears should be referred to an orthopedic surgeon. 1, 3. ↵ Nguyen US, Zhang Y, Zhu Y, Niu J, Zhang B, Felson DT. Increasing prevalence of knee pain and symptomatic knee osteoarthritis: survey and cohort data. Ann Intern Med. 2011;155(11):725–732. 2. ↵ Rosenblatt RA, Cherkin DC, Schneeweiss R, Hart LG. The content of ambulatory medical care in the United States. An interspecialty comparison. N Engl J Med. 1983;309:892–7. 4. ↵ Baker P, Reading I, Cooper C, Coggon D. Knee disorders in the general population and their relation to occupation. Occup Environ Med. 2003;60(10):794–797. 5. ↵ Buchbinder R, Richards B, Harris I. Knee osteoarthritis and role for surgical intervention: lessons learned from randomized clinical trials and population-based cohorts. Curr Opin Rheumatol. 2014;26(2):138–144. 6. ↵ Mordecai SC, Al-Hadithy N, Ware HE, Gupte CM. Treatment of meniscal tears: an evidence based approach. World J Orthop. 2014;5(3):233–241. 9, 11, 23. ↵ Walsh WM. Knee injuries. In: Mellion MB, Walsh WM, Shelton GL, eds. The team physician’s handbook. 2d ed. St. Louis: Mosby, 1990:554–78. 10. ↵ Stanitski CL. Anterior knee pain syndromes in the adolescent. Instr Course Lect. 1994;43:211–20. 12. ↵ Waters PM, Millis MB. Hip and pelvic injuries in the young athlete. In: DeLee J, Drez D, Stanitski CL, eds. Orthopaedic sports medicine: principles and practice. Vol. III. Pediatric and adolescent sports medicine. Philadelphia: Saunders, 1994:279–93. 13, 14, 15. ↵ Schenck RC Jr, Goodnight JM. Osteochondritis dissecans. J Bone Joint Surg [Am]. 1996;78:439–56. 16. ↵ Ruffin MT 5th, Kiningham RB. Anterior knee pain: the challenge of patellofemoral syndrome. Am Fam Physician. 1993;47:185–94. 17, 18, 19. ↵ Cox JS, Blanda JB. Peripatellar pathologies. In: DeLee J, Drez D, Stanitski CL, eds. Orthopaedic sports medicine: principles and practice. Vol. III. Pediatric and adolescent sports medicine. Philadelphia: Saunders, 1994:1249–60. 20. ↵ Petsche TS, Selesnick FH. Popliteus tendinitis: tips for diagnosis and management. Phys Sportsmed. 2002;30(8):27–31. 21, 22. ↵ Micheli LJ, Foster TE. Acute knee injuries in the immature athlete. Instr Course Lect. 1993;42:473–80. 24. ↵ Smith BW, Green GA. Acute knee injuries: part II. Diagnosis and management. Am Fam Physician. 1995;51:799–806. 25. ↵ McCune WJ, Golbus J. Monarticular arthritis. In: Kelley WN, ed. Textbook of rheumatology. 5th ed. Philadelphia: Saunders, 1997:371–80. 26, 29. ↵ Franks AG Jr. Rheumatologic aspects of knee disorders. In: Scott WN, ed. The knee. St. Louis: Mosby, 1994:315–29. 27. ↵ Brandt KD. Management of osteoarthritis. In: Kelley WN, ed. Textbook of rheumatology. 5th ed. Philadelphia: Saunders, 1997:1394–403. 28. ↵ Reginato AJ, Reginato AM. Diseases associated with deposition of calcium pyrophosphate or hydroxyapatite. In: Kelley WN, ed. Textbook of rheumatology. 5th ed. Philadelphia: Saunders, 1997:1352–67. 30. ↵ Bennell KL, Hunter DJ, Hinman RS. Management of osteoarthritis of the knee. BMJ. 2012;345:e4934. 31. ↵ Hinman RS, Crossley KM, McConnell J, Bennell KL. Efficacy of knee tape in the management of osteoarthritis of the knee: blinded randomised controlled trial. BMJ. 2003;327(7407):135–138. 32, 38. ↵ Brosseau L, Wells GA, Tugwell P, et al. Ottawa Panel evidence-based clinical practice guidelines for the management of osteoarthritis in adults who are obese or overweight. Phys Ther. 2011;91(6):843–861. 33, 34, 37, 41, 45, 69, 81. ↵ Brown GA. AAOS clinical practice guideline: treatment of osteoarthritis of the knee: evidence-based guideline, 2nd edition. J Am Acad Orthop Surg. 2013;21(9):577–579. 36. ↵ Deyle GD, Allison SC, Matekel RL, et al. Physical therapy treatment effectiveness for osteoarthritis of the knee: a randomized comparison of supervised clinical exercise and manual therapy procedures versus a home exercise program. Phys Ther. 2005;85(12):1301–1317. 39, 73. ↵ Rutjes AW, Nüesch E, Sterchi R, Jüni P. Therapeutic ultrasound for osteoarthritis of the knee or hip. Cochrane Database Syst Rev. 2010;(1):CD003132. 40, 49. ↵ Prior MJ, Harrison DD, Frustaci ME. A randomized, double-blind, placebo-controlled 12 week trial of acetaminophen extended release for the treatment of signs and symptoms of osteoarthritis. Curr Med Res Opin. 2014;30(11):2377–2387. 42, 43, 53, 57, 68. ↵ Hochberg MC, Altman RD, April KT, et al. American College of Rheumatology 2012 recommendations for the use of nonpharmacologic and pharmacologic therapies in osteoarthritis of the hand, hip, and knee. Arthritis Care Res (Hoboken). 2012;64(4):465–474. 44, 65. ↵ Jones T, Kelsberg G, Safranek S. FPIN’s clinical inquiries: Intra-articular corticosteroid injections for osteoarthritis of the knee. Am Fam Physician. 2014;90(2):115–116. 46, 70, 71. ↵ Brouwer RW, Jakma TS, Verhagen AP, Verhaar JA, Bierma-Zeinstra SM. Braces and orthoses for treating osteoarthritis of the knee. Cochrane Database Syst Rev. 2005;(1):CD004020. 48. ↵ Verkleij SP, Luijsterburg PA, Bohnen AM, Koes BW, Bierma-Zeinstra SM. NSAIDs vs acetaminophen in knee and hip osteoarthritis: a systematic review regarding heterogeneity influencing the outcomes. Osteoarthritis Cartilage. 2011;19(8):921–929. 50. ↵ Wegman A, van der Windt D, van Tulder M, Stalman W, de Vries T. Nonsteroidal antiinflammatory drugs or acetaminophen for osteoarthritis of the hip or knee? A systematic review of evidence and guidelines. J Rheumatol. 2004;31(2):344–354. 51. ↵ Jawad AS. Analgesics and osteoarthritis: are treatment guidelines reflected in clinical practice? Am J Ther. 2005;12(1):98–103. 52. ↵ Machado GC, Maher CG, Ferreira PH, et al. Efficacy and safety of paracetamol for spinal pain and osteoarthritis: systematic review and meta-analysis of randomised placebo controlled trials. BMJ. 2015;350:h1225. 54, 55. ↵ Derry S, Moore RA, Rabbie R. Topical NSAIDs for chronic musculoskeletal pain in adults. Cochrane Database Syst Rev. 2012;(9):CD007400. 58. ↵ Noble M, Treadwell JR, Tregear SJ, et al. Long-term opioid management for chronic noncancer pain. Cochrane Database Syst Rev. 2010;(1):CD006605. 59. ↵ McAlindon T, LaValley M, Schneider E, et al. Effect of vitamin D supplementation on progression of knee pain and cartilage volume loss in patients with symptomatic osteoarthritis: a randomized controlled trial. JAMA. 2013;309(2):155–162. 60. ↵ Reichenbach S, Sterchi R, Scherer M, et al. Meta-analysis: chondroitin for osteoarthritis of the knee or hip. Ann Intern Med. 2007;146(8):580–590. 61. ↵ Provenza JR, Shinjo SK, Silva JM, Peron CR, Rocha FA. Combined glucosamine and chondroitin sulfate, once or three times daily, provides clinically relevant analgesia in knee osteoarthritis. 62. ↵ Towheed TE, Maxwell L, Anastassiades TP, et al. 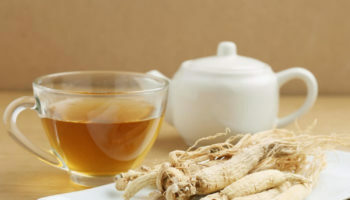 Glucosamine therapy for treating osteoarthritis. Cochrane Database Syst Rev. 2005;(2):CD002946. 63. ↵ Singh JA, Noorbaloochi S, MacDonald R, Maxwell LJ. Chondroitin for osteoarthritis. Cochrane Database Syst Rev. 2015;(1):CD005614. 64. ↵ Bellamy N, Campbell J, Robinson V, Gee T, Bourne R, Wells G. Intraarticular corticosteroid for treatment of osteoarthritis of the knee. Cochrane Database Syst Rev. 2006;(2):CD005328. 66. ↵ Divine JG, Shaffer MD. Use of viscosupplementation for knee osteoarthritis: an update. Curr Sports Med Rep. 2011;10(5):279–284. 67. ↵ Rutjes AW, Jüni P, da Costa BR, Trelle S, Nüesch E, Reichenbach S. Viscosupplementation for osteoarthritis of the knee: a systematic review and meta-analysis. Ann Intern Med. 2012;157(3):180–191. 72. ↵ Parkes MJ, Maricar N, Lunt M, et al. Lateral wedge insoles as a conservative treatment for pain in patients with medial knee osteoarthritis: a meta-analysis. JAMA. 2013;310(7):722–730. 74. ↵ Rixe JA, Glick JE, Brady J, Olympia RP. A review of the management of patellofemoral pain syndrome. Phys Sportsmed. 2013;41(3):19–28. 75. ↵ van der Heijden RA, Lankhorst NE, van Linschoten R, Bierma-Zeinstra SM, van Middelkoop M. Exercise for treating patellofemoral pain syndrome. Cochrane Database Syst Rev. 2015;(1):CD010387. 76. ↵ Callaghan MJ, Selfe J. Patellar taping for patellofemoral pain syndrome in adults. Cochrane Database Syst Rev. 2012;(4):CD006717. 77. ↵ Barton C, Balachandar V, Lack S, Morrissey D. Patellar taping for patellofemoral pain: a systematic review and meta-analysis to evaluate clinical outcomes and biomechanical mechanisms. Br J Sports Med. 2014;48(6):417–424. 78. ↵ Heintjes E, Berger MY, Bierma-Zeinstra SM, Bernsen RM, Verhaar JA, Koes BW. Pharmacotherapy for patellofemoral pain syndrome. Cochrane Database Syst Rev. 2004;(3):CD003470. 79. ↵ Collins NJ, Bisset LM, Crossley KM, Vicenzino B. Efficacy of nonsurgical interventions for anterior knee pain: systematic review and meta-analysis of randomized trials. Sports Med. 2012;42(1):31–49. 80. ↵ Bizzini M, Childs JD, Piva SR, Delitto A. Systematic review of the quality of randomized controlled trials for patellofemoral pain syndrome. J Orthop Sports Phys Ther. 2003;33(1):4–20. 82. ↵ Herrlin S, Hållander M, Wange P, Weidenhielm L, Werner S. Arthroscopic or conservative treatment of degenerative medial meniscal tears: a prospective randomised trial. Knee Surg Sports Traumatol Arthrosc. 2007;15(4):393–401. 83. ↵ Katz JN, Brophy RH, Chaisson CE, et al. Surgery versus physical therapy for a meniscal tear and osteoarthritis. N Engl J Med. 2013;368(18):1675–1684. 84. ↵ Visnes H, Bahr R. The evolution of eccentric training as treatment for patellar tendinopathy (jumper’s knee): a critical review of exercise programmes. Br J Sports Med. 2007;41(4):217–223. 85. ↵ Mehallo CJ, Drezner JA, Bytomski JR. Practical management: nonsteroidal antiinflammatory drug (NSAID) use in athletic injuries. Clin J Sport Med. 2006;16(2):170–174. 86. ↵ Gunter P, Schwellnus MP. Local corticosteroid injection in iliotibial band friction syndrome in runners: a randomised controlled trial. Br J Sports Med. 2004;38(3):269–272. 87. ↵ Mautner K, Colberg RE, Malanga G, et al. Outcomes after ultrasound-guided platelet-rich plasma injections for chronic tendinopathy: a multicenter, retrospective review. PM R. 2013;5(3):169–175. 88. ↵ Rabago D, Patterson JJ, Mundt M, et al. Dextrose prolotherapy for knee osteoarthritis: a randomized controlled trial [published correction appears in Ann Fam Med. 2013;11(5):480]. Ann Fam Med. 2013;11(3):229–237. 89. ↵ Azar FM. Evaluation and treatment of chronic medial collateral ligament injuries of the knee. Sports Med Arthrosc. 2006;14(2):84–90. 90. ↵ Lavagnino M, Arnoczky SP, Dodds J, Elvin N. Infrapatellar straps decrease patellar tendon strain at the site of the jumper’s knee lesion: a computational analysis based on radiographic measurements. Sports Health. 2011;3(3):296–302. 91. ↵ Loew LM, Brosseau L, Tugwell P, et al. Deep transverse friction massage for treating lateral elbow or lateral knee tendinitis. Cochrane Database Syst Rev. 2014;(11):CD003528. 92. ↵ DeFranco MJ, Bach BR Jr. A comprehensive review of partial anterior cruciate ligament tears. J Bone Joint Surg Am. 2009;91(1):198–208.